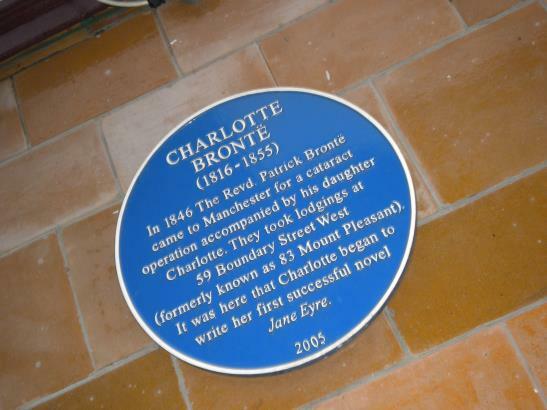 Anyone who has read Gaskill’s Life of Charlotte Bronte will know that Charlotte accompanied her father Patrick Bronte to Manchester when he underwent a successful cataract operation. Mr Wilson a famous oculist recommended comfortable lodgings which were ran by a former servant of his. What must that street have looked like then? Oh to go back in time to August 21st 1846 and see Charlotte coming and going from 83 Mount Pleasant Boundary Street! 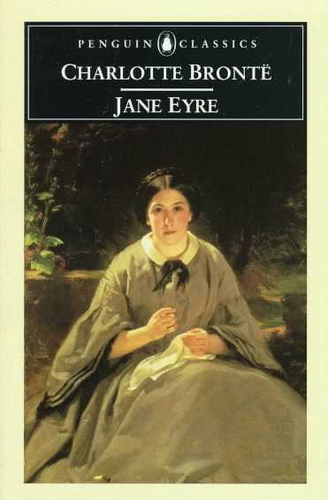 I, like most people perhaps, always assumed that Jane Eyre was written at the Parsonage in Haworth, but this appears not to be the case. According to this information, the novel was started at the above address. Where once stood Mount Pleasant 73 – 93 the back part of the Municipal School of Art stands. 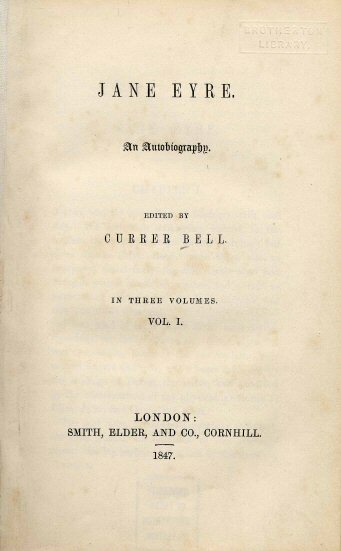 Excerpts of Elizabeth Gaskill’s Life of Charlotte Bronte from this site Thanks! I am the sort of person that if I read something and I like it, and the way that it’s been written, I shall then proceed to read as much as possible by the same author. 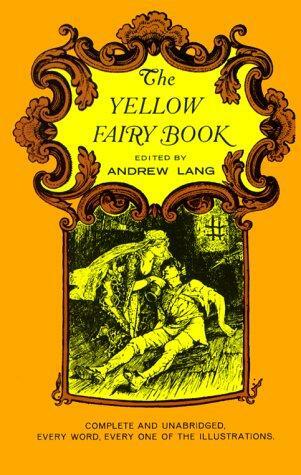 So consequently, when I first discovered libraries I read one of the Andrew Lang Fairytale books (can’t remember which colour) which contained many fairytales and carried on until I had exhausted them all. From there I progressed to Folk tales from different countries and this kept me going for a bit. 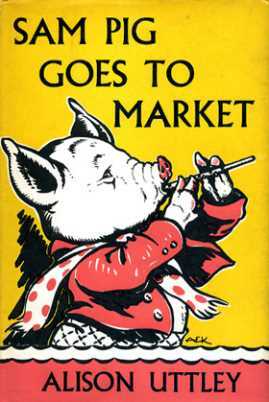 Other series that I liked reading as a child were the Sam Pig books by Alison Utterly. I just like the way that these were written and the illustrations. I read one Sherlock Holmes book and this lead to just having to read them all. An author I could not get enough of about 25 years ago was Stephen King. His works translates fabulously to the screen, My hubby doesn’t like him, says he has a tendency to waffle on. I disagree. 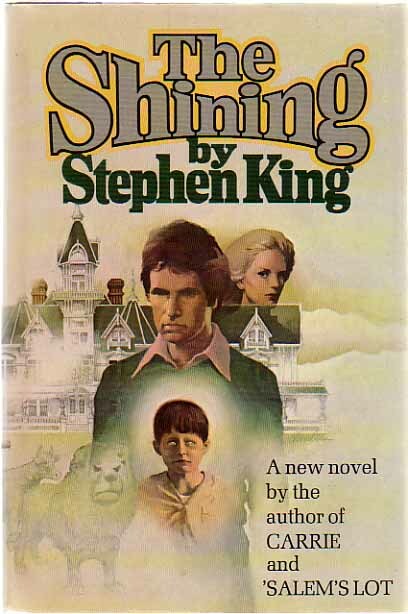 When for example, you read something like ‘The Shining’ it’s true that half the book is taken up with describing the hotel – but that’s the genius of King, he builds atmosphere so skillfully. Then when the ‘hotel’ or scene of the horror is set and is then so vivid in your imagination – he just steps right in and frightens the hell out of you, lol! Lot’s of writers I could write about: lot of books and writers I am going to write about, lots of books I have read, lots of books I have read and forgotten about. Yet so many books to read – I look forward to that. Watched: ‘The Antiques Roadshow’ Charlotte’s Bronte’s Bible Speaks! Was watching The Antiques Roadshow, which, this week came from Blackpool Tower. I watch it from time to time, but I especially wanted to watch it yesterday because it featured Charlotte Bronte’s Sunday school bible. Bought from a dealer in the 1920s or 30s for 50.00, the bible is crammed packed with tiny notes by Charlotte. The expert authenicated the writing as Charlottes, dating the bible from about 1845. It’s estimated value? 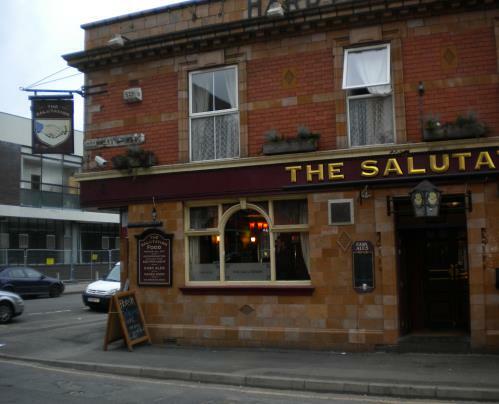 between £15,000 and £20,000! Did the REAL Charlotte Bronte just Stand up? 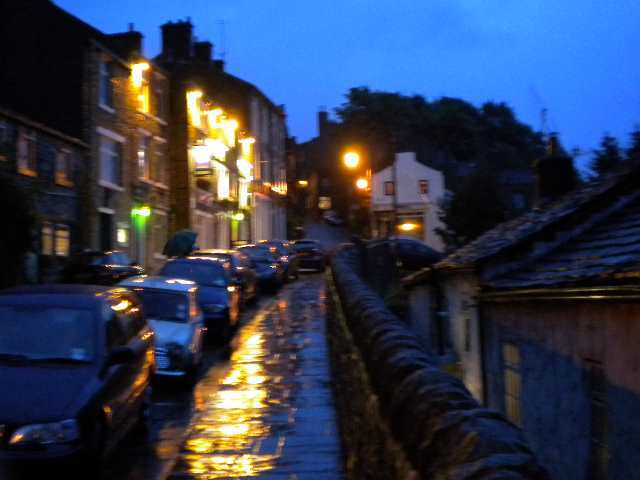 Haworth STIL Wuthering and Very Much So! This is a follow up to my post called ‘Will the Real Charlotte Bronte Please Stand up? ‘ This was written a while ago. 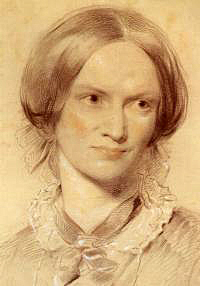 I tried to establish what Charlotte Bronte really looked like (and didn’t get anywhere lol!) 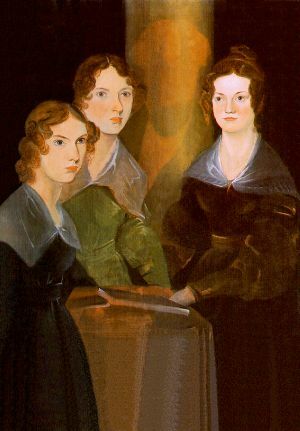 This subject still fascinates me though, so I was intrigued to read recently that James Gorin Von Grosny from Devon had bought a painting whom he believes are the Bronte sisters, painted by Edwin Lanseer. 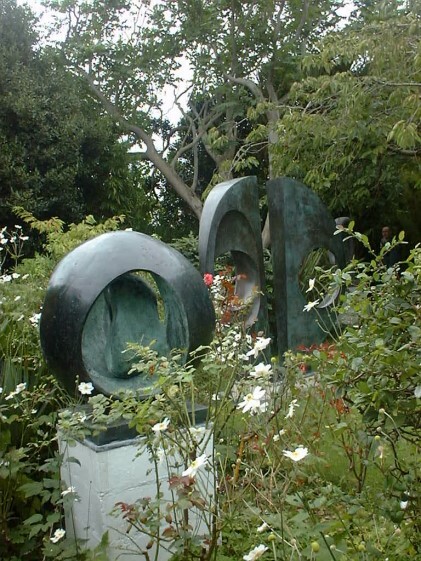 The connection with Lanseer and the Bronte’s comes about through Ellen Nussey’s brother being a friend of his. 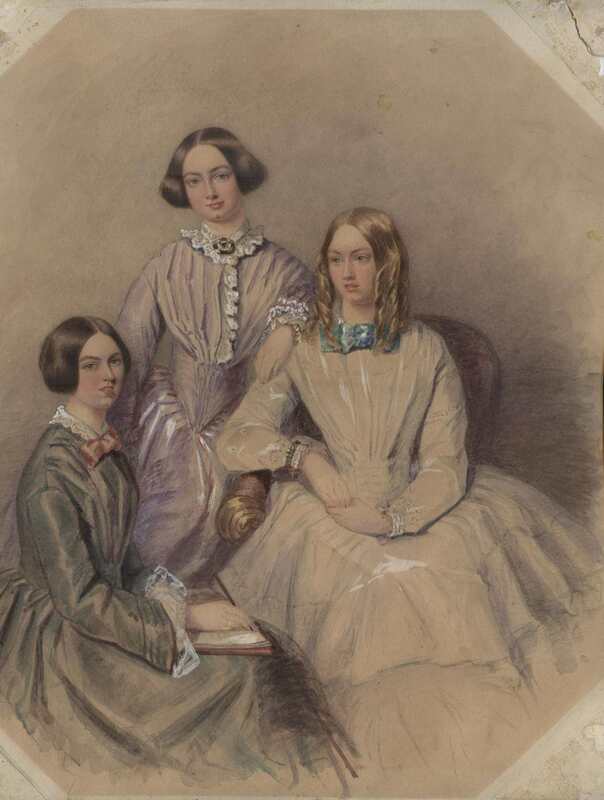 could this be a fresh portrait of the Bronte sisters? 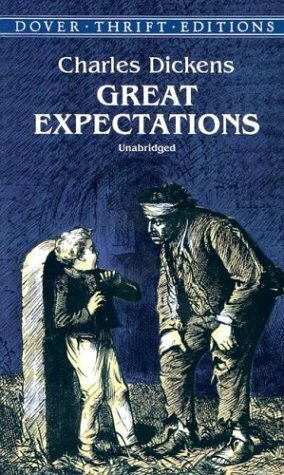 Now, before you dismiss this claim as outlandish and unlikely, Mr Von Grosny puts up a formidable arguement defending his claim and a lively debate is going on the Bronte blog HERE. It makes fascinating reading and Mr Von Grosny addresses many issues regarding the work. It is obvious that he has done a lot of research into the Bronte’s and has a genuine interest in them. Even the way that the owner aquired this portrait is unusual in itself (read it HERE). The whole story is intriguing and I am keeping a very open mind. After all, we have so many portraits, each differing of Charlotte: so many conflicting descriptions of her appearence. For example, even the samples of her hair differ. 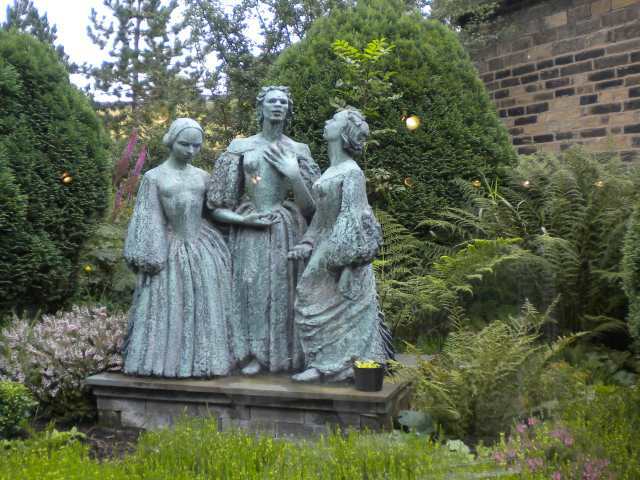 I was at the Bronte Parsonage yesterday and saw three different examples, purported to be Charlottes hair. There was a necklace made of fair hair, a mourning card with red blonde hair and a very dark lock of hair which is confusing. 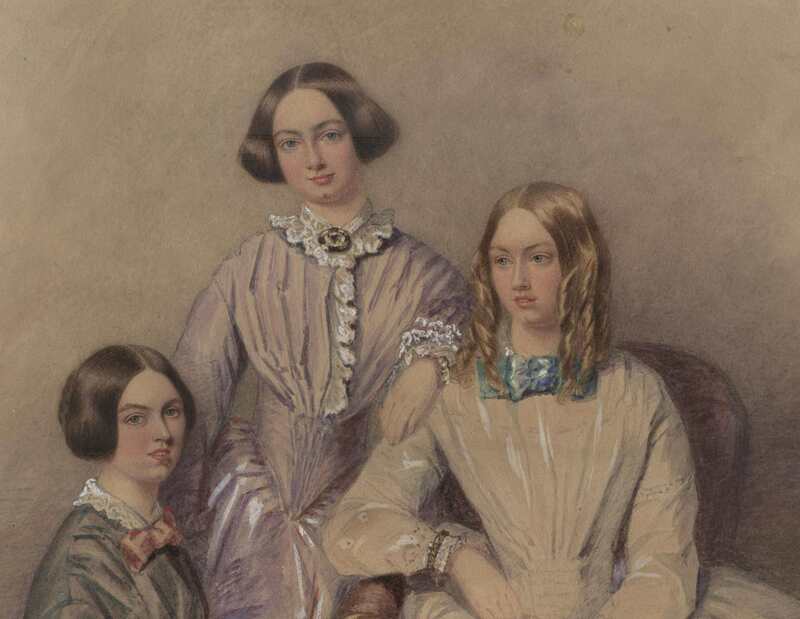 So why SHOULDN’T this portrait be of the Bronte’s? We don’t know for a fact it isn’t so far. 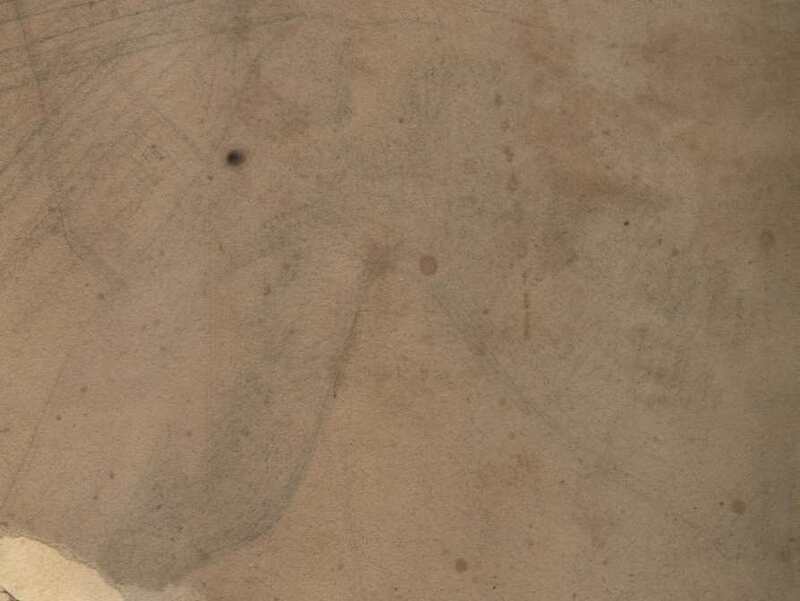 The reverse of the painting contains a sketch of a knee. Mr Von Grosny asserts that this ties in with a painting that Charlotte did of a shepherdess with the same scar below the knee. It is thought to be a self portrait. There is so much to the story of this painting – the suspense is killing me lol! 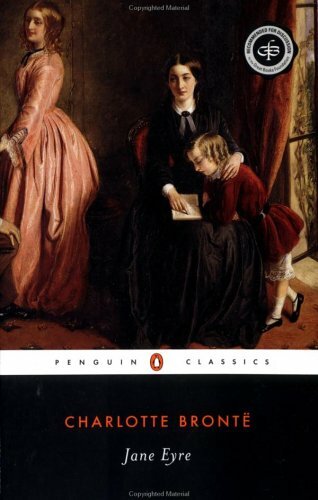 But just because I WANT it to be the Bronte’s, won’t make it so, but evidence will. I can assure you that Mr Von Grosny is busy collecting it! This portrait has a tale to tell I feel, and I want to hear it! Looking back, Over my Shoulder…. am I addressing the real charlotte Bronte or not? 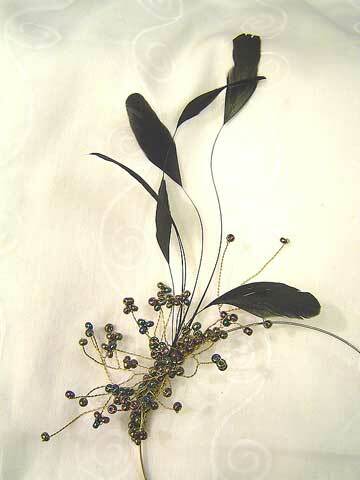 Well it’s going to have to happen soon, I am going to have to buy Mother of the Bride clothes. I’ve already had a look at some of em, and I can’t say I’m impressed. I wouldn’t wear these in real life, I REFUSE to wear them in Vegas. I shall not be wearing a hat. I love hats, with my flat head, but no,I will be wearing a ‘fascinater’ apparently. Now, come ON, I’m fascinating enough surely? (I flatter myself because no one else will). At least the Wedding dress is sorted, and it’s gorgeous! My own wedding dress was a white lace number with big puffy sleeves. I’ve still got it, I’ll never get into it again, (I had a job getting into it in the first place!). 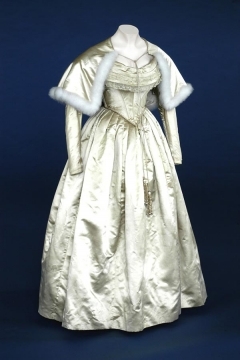 Wedding dresses have certainly changed down the years. 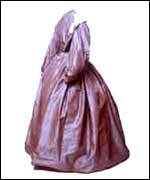 I remember a seeing this Charlotte Bronte dress in the Bronte Parsonage Museum, Haworth, Yorkshire. It was tiny, but then so was she. I don’t think it was a wedding dress as such. 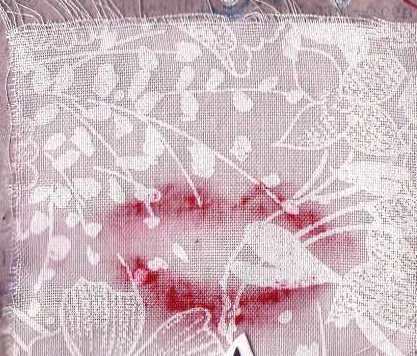 This interesting web site shows how Wedding dresses have changed through the years.